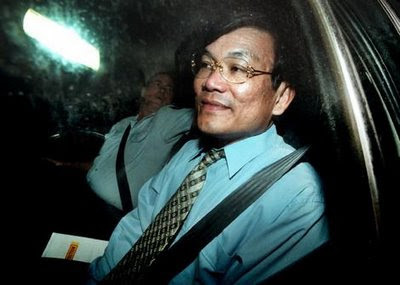 Former Fairfield councillor Phuong Ngo was found guilty of shooting New South Wales state Labor MP John Newman outside the victim's south-west Sydney home in September, 1994. Ngo has spent the last seven years serving a never-to-be-released sentence for the murder in-solitary-confinement at the high-security Supermax jail, in southern NSW. But last month, the chief justice of the NSW Supreme Court ordered a judicial inquiry into the trial, after experts said misleading and circumstantial evidence was used. Dressed in a suit and flanked by three security guards, Ngo sat quietly during today's 20-minute hearing in the NSW Supreme Court in Sydney. His barrister, Peter Hastings QC, told the court his client had been granted legal aid for the judicial review due to start later this year. The head of the inquiry, retired District Court judge David Patten, granted a two-week adjournment so Ngo's legal team could issue subpoenas to Telstra and other witnesses. The review will examine the mobile phone evidence used during Ngo's trial, the independence of witnesses and whether police withheld any information. Australian National University legal academic Hugh Selby applied for the review earlier this year, saying he was concerned the evidence used to convict Ngo was too circumstantial.